A quick look around the iPhone 3GS ‘Tech Specs‘ page reveals plenty of info about battery life, screen size, resolution, and a number of other info, but we have yet to see any info on the RAM or CPU speed which claims to make the iPhone 3GS â€œtwice as fast’. Even when asked directly, they refused to say exactly. It seems a bit strange for them to be doing this, but I have a theory. You may have read my article a short while back questioning the rumors that said that Apple would release a touch oriented slate style device at WWDC. In that article, I mentioned that the App Store has been a huge part of the iPhones success, and Apple wouldn’t be releasing anything that runs the iPhone OS with specs that would ruin app compatibility. So, I feel that Apple has done some work to ensure that apps stay cross compatible with every device of their touch series. I’ll have to mention that I haven’t yet been able to test the iPhone 3GS, but here is my initial theory. Apple may have doubled the RAM in the iPhone but kept the CPU speed the same; they want to keep the double RAM a secret. Why would they do this? The previous iPhone 3G has 128MB of RAM that gets allocated around the system to where it is needed. If a heavy app uses too much RAM, it crashes because the phone doesn’t have any more RAM to offer it, as it is being used up by the rest of the system. By doubling the RAM, they have plenty of space to allocate to the system, and a much larger space to load and run applications. The RAM speed remains the same (and the CPU) which means that app performance (while it is actually running) will stay the same, but with the increased quantity of RAM, more data can be loaded to the RAM at once, increasing the speed in which applications load. This is important because Apple doesn’t want any of the touch devices to run applications better than any other, ensuring compatibility between all. Apple understands the success of their App Store. In the WWDC keynote, they mentioned that they have 50,000 applications, over 1,000,000,000 downloads of apps, and an install base of 40,000,000 users, across all generations of the iPod Touch and iPhone. Those numbers are insanely impressive, and as I stressed in the aforementioned article, they are not about to ruin compatibility of their precious app store. If they just doubled the CPU speed and double the RAM, developers would have a new performance bar that they could develop for. This means that an application might be designed specifically for a theoretical, more powerful iPhone, and yet it wouldn’t run well on their older devices, totally breaking the trend that the current app store has had since it was released: complete interoperability between all devices regardless of generation. But here is the really tricky partâ€¦ why keep it a secret? We’ve been hearing rumblings of this for a while now, but it seems that Pixel Qi is now showing its new dual mode power saving screens. Based on the screen featured in the OLPC project’s XO computer. Essentially Pixel Qi has designed an LCD screen which can display just like you would expect a standard screen to do, but it can also toggle to an E-Ink like mode which uses ambient light to display the on screen image rather than a backlight. What are the implications for the mobile device user? 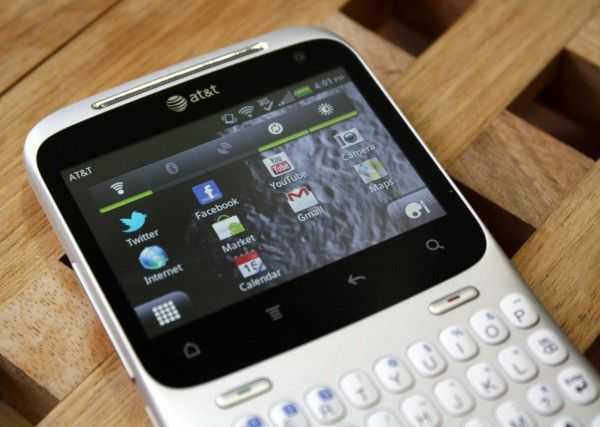 The screen is one of the single largest power consuming components of modern mobile devices. The ability to turn off the backlight and still be able to see the screen from ambient light would mean large power savings. 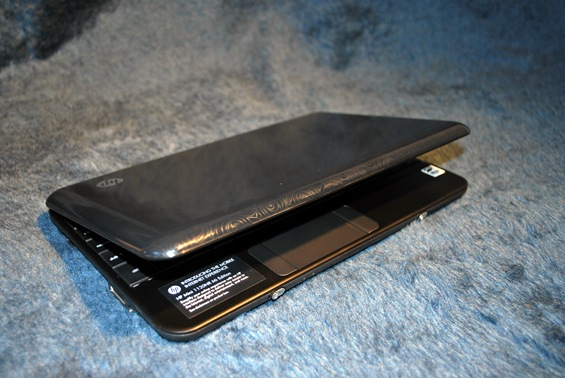 With the XO laptop, the screen was actually able to stay active while the motherboard turned off. 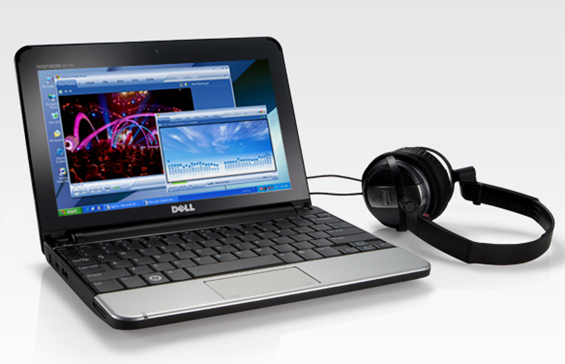 However, modern netbooks are running much different operating systems and hardware than the XO, and aren’t yet designed to be able to accomplish that extra power saving step. The dual mode means that you can still have a full color display at the flip of a switch, then go to the power saving backlight off mode which reads great in direct sunlight and also saves battery life. If Pixel Qi can keep these screens to a reasonable price, I think we’ll see them popping up on netbooks once they hit full production, but the power saving isn’t going to be mind-blowing. A few things garnered from the following video. You’ll notice that they are demoing the first batch of their screens on what appears to be an Acer Aspire One D150 [Portal page]. 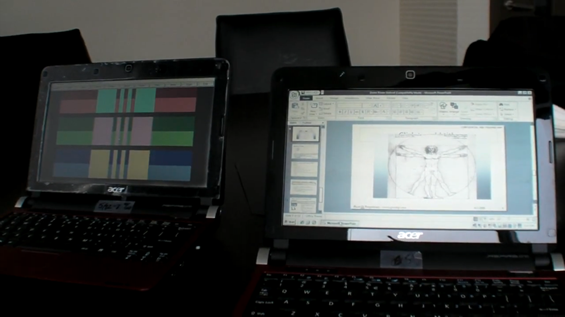 It is mentioned that they are stock Acer’s bought online, then modified to work with the new screen. It doesn’t sound like this technology will be coming to our favorite touchscreen devices any time soon as the particulars of touchscreen technology don’t play nice with the visual quality of the Pixel Qi dual mode screen. If you’ve used a Kindle, you probably know that the refresh rate is rather abysmal compared to a computer screen that you might be used to. I was impressed to see that the transreflective (E-Ink like) mode of the Pixel Qi screen actually retains a rather good refresh rate meaning that you can work just like you would normally even with that mode enabled (they even show a video being played). If it were E-Ink, you would need to toggle out of the mode just to see the mouse move at a reasonable rate. I was pretty excited back in January when we first glimpsed the Dell Mini 10, the successor to Dell’s first netbook, the Mini 9 [Portal page]. There were several things that got me excited, but by far the biggest was the idea that the Dell Mini 10 [Portal page] would come equipped with a proper 16:9 aspect ratio screen and a native 720p HD resolution of 1280×720. 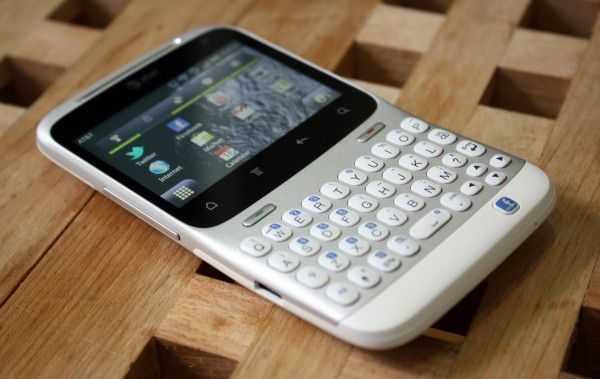 Since the Mini 10 launched, it has only been available with a 1024×600 screen, until now. Dell is now offering if the promised “720p” screen, but it isn’t actually standard 720p format. Strangely, they kept the 16:9 aspect ratio, but upped the resolution from the HD standard (1280×720) to 1366×768. I couldn’t say exactly why they decided to go with the non-standard resolution (my guess would be that it is an already existing LCD), but at least they kept the right shape. Anyway, the higher resolution screen can be added for just $35 which isn’t bad for 459,264 additional pixels. Question for the HD media junkies out there: Would you say that native 720p content looks better when 1:1 pixel mapped on a 1280×720 screen, vs. the same aspect ratio, but not 1:1 pixel mapping on a 1366×768 screen? 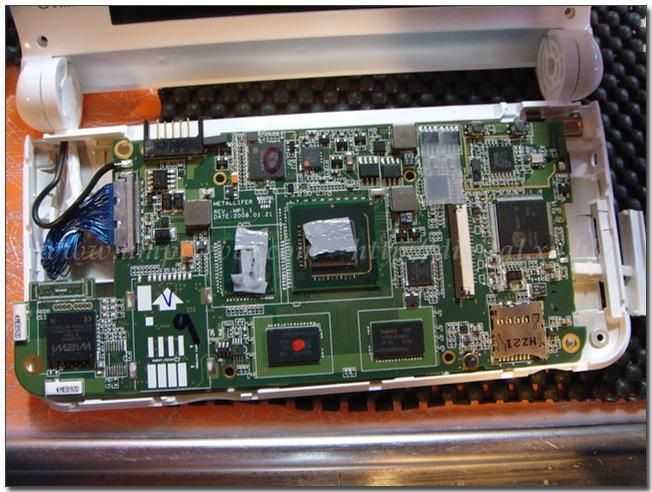 Jkk, the master of mobile modding, is always quick to point out internal shots from the latest hardware. This time, he found some shots of the UMID M1 [Portal page], which Chippy just recently wrote his hands on thoughts over at MIDMoves. 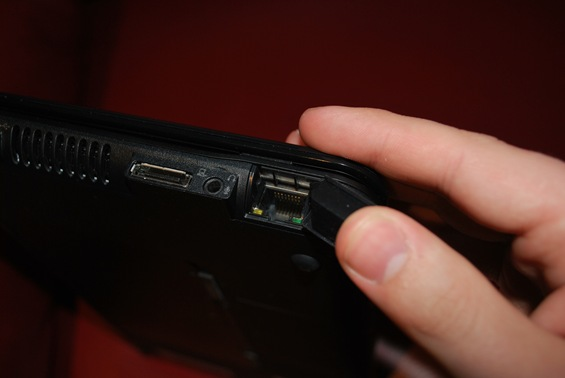 Unfortunately the tiny laptop form-factor device won’t be that easy to mod considering the RAM and even the SSD is soldered to the motherboard. 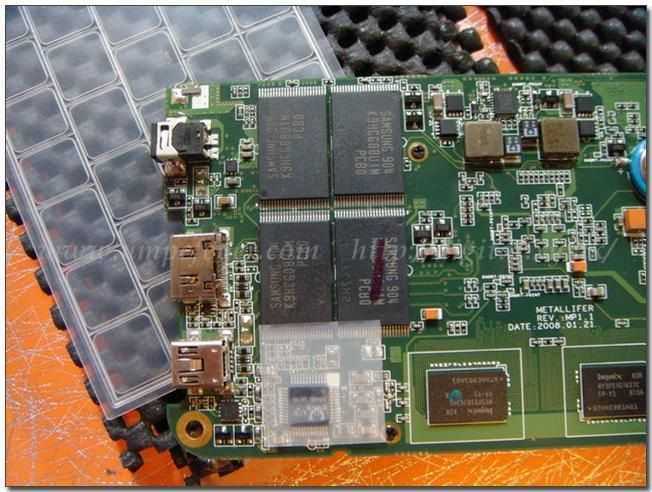 Jkk mentions that a 3G mod won’t be easy either as the UMID M1 isn’t using a PCI-E 3G modem. It used to be the rule that a stand at a trade show would need ‘Booth Babes’ to attract the attention of the thousands of people at a conference. SXSW Interactive is not like that… what attracts the attendees in the Austin Convention Center are shiny boxes that go ping. And the MID based devices the team was toting around the floors of SXSW. Sitting down at a table, and opening up one of the Qwerty keyboard devices caused a lot of oohs and ahhs at the size. Unlike a European conference, where the 8.9 inch screen sized keyboard machines can be seen by a significant number of delegates, they haven’t as yet made an impact â€“ which meant that the visual shock of seeing the MID hardware running caught everyone’s eyes. The clear winner in the form factor would have to be the M-book. It’s incredibly small, but running a flown blown Windows XP set-up. Seeing pictures of these devices, even in the hands of an actor for scale, is not enough. Personally, the M-book didn’t blow me away, until it was sitting in my hands, with an almost full sized keyboard, touch screen LCD, all in the size of a small pocket diary. Standing in line and cradling the M-Book was a challenge… not because of the small size making it difficult to use, because of everyone asking what the device is, and where can they get one? The big challenge for any MID device makers is going to be getting the impact of these devices in the physical world into the minds of a consumer looking to purchase a new portable device. 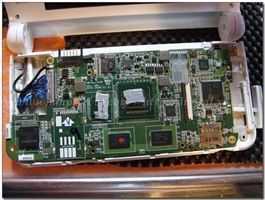 Once the hardware hits your hand, the size and usefulness starts to become clear. SlashGear is reporting that Intel is working on a version of something called an SIMD accelerator that will help increase graphical performance on future mobile devices. There isn’t too much to go on with the small amount of information that Intel released, but apparently the SIMD (Single Instruction, Multiple Data) accelerator that they are working on uses 10x less power than current SIMD accelerators use, making the new SIMD accelerator practical for use in handheld devices, particularly MIDs, as Intel mentions. The concept of Single Instruction, Multiple Data seems somewhat contradictory to the current Atom processors which use in-order execution, but then again, I can’t claim to be an expert on CPU architecture, so these things may be unrelated. It sounds like Intel’s newer, less power hungry SIMD accelerator could be used in conjunction with their upcoming Moorestown platform. Jkkmobile points out an interesting video from Engadget that shows some interesting multi-touch demos on a resistive touchscreen. Have a look at the video embedded below, but be sure to stick around for some thoughts below. The demos are definitely neat, but I’m a very big proponent of capacitive touch technology, not because of multi-touch, but because of its consistent recognition of input. Multi-touch and the ability to do gestures is great, but I would argue that it is not the best part of capacitive touch technology. So they have managed to port the multi-touch facet of capacitive touchscreens over to resistive touchscreens, but they stick lack the consistent detection of input. Nothing is more annoying to me than having to click on one item several times because it is easy for a resistive touchscreen to either miss or misinterpret your input. It really ruins the touchscreen experience. Low pressure input resistive screens help to alleviate this to some degree but the issue still remains. Capacitive touch’s ability to extremely consistently recognize touch input is what makes it possible to have a viable on-screen keyboard on a device the size of the iPhone. I’ve tried many other resistive touch phones with OSKs, and the experience is almost embarrassing to the hardware. As for the pressure sensitivity of the demoed screen: The way it was described is that it recognizes how much pressure you are putting on the screen by how much contact there is with the surface of your finger. If this is the correct explanation of how the technology works, then pressure sensitivity will not be able to be measured with a stylus. When you apply more pressure to a surface with your finger, the skin around the bone presses down with a larger surface area, this obviously doesn’t occur with the tip of a stylus. This is definitely good for resistive touchscreens and a jump forward for devices that will continue to use them, but in many cases I still feel like capacitive touch offers the best experience.